I know you’re desperate to get cracking and this is a really boring step, but it’s a reeeeeally good idea to pre-wash your fabric before you cut it out (or steam/dry clean, depending on your fabric choice). 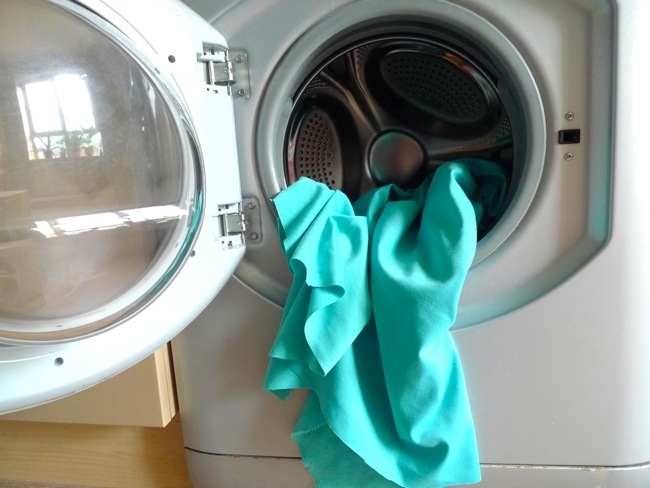 It may well shrink a little, or change other properties such as the drape, resulting in a garment that’s too tight for you if you don't wash it first. Just get into the habit of whacking it in the wash as soon as you get home from fabric shopping and you’ll save a lot of frustration later. 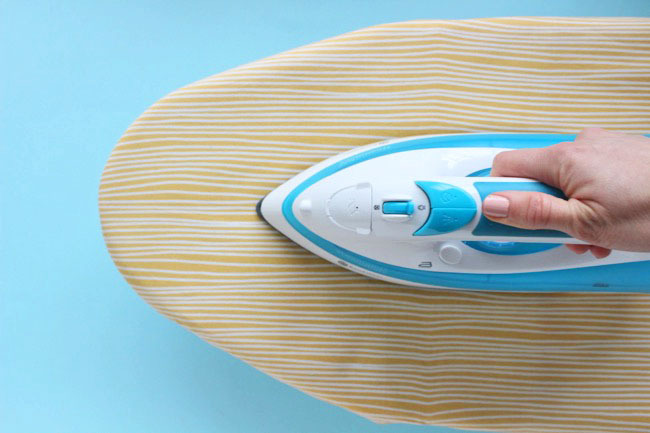 Once it's washed and dry, get your iron out and press out any creases in your fabric. You'll want to get it nice and smooth to help ensure the shapes and sizes you cut are accurate. Test out the iron on a small patch first to check that the temperature and steam/non-steam setting you use is suitable for your fabric and won’t leave a mark. Patterns usually come on a massive sheet of paper and need dividing up into different pieces. Cut around each piece using paper scissors. In the next post I'll outline different methods of cutting the fabric - depending on which option you choose, you may want to cut the pattern roughly or accurately. For now, a good option is to cut around each piece leaving a bit of extra space outside the lines. 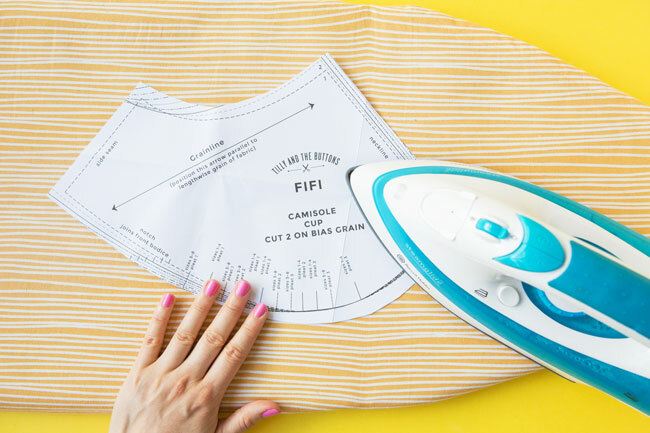 Give your pattern a press if it’s folded or crumpled, again to help with accurate cutting. Most pattern paper will be fine with a low, dry iron – although do test a small patch first as the ink on some patterns can smudge. Find as long a table as you can get, clear everything off it and give it a wipe down. If you don’t have a table at all, you can get a large fold-out cutting mat for the floor. - Folding the fabric in half makes it easier to cut two of the same piece at once - for example, sleeves or half a bodice when there's an opening in the middle. Folding also allows you to cut single symmetrical pieces - notice that some pattern pieces correspond to half of a fabric piece only, and will say "place on fold" if they're to be cut like this. 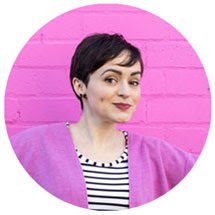 - The “right” side is the front of the fabric if it has a print or slightly different weave on one side - it's the side you want to show on the outside of your finished garment. Take a close look – it’s not always obvious if they're different at first glance! The opposite of the right side in this context is the "wrong" side, rather than left side. You'll hear the expression "right sides together" a lot in sewing instructions. - The "selvedges" (or selvages in US English) are the woven edges of the fabric running lengthways. Smooth the fabric out to make both sides as flat as possible. If your fabric is longer than your table, lay out as much as you can and keep one end rolled up neatly. That way you can cut a few pieces at a time and unroll more when you free up some space. Just check that all the pattern pieces fit on the fabric before you start cutting. Place your pattern pieces on top of your fabric. This part is a bit like a puzzle. If you’re feeling thrifty, the aim of the game is to fit all the pattern pieces on as short a piece of fabric as you can manage. 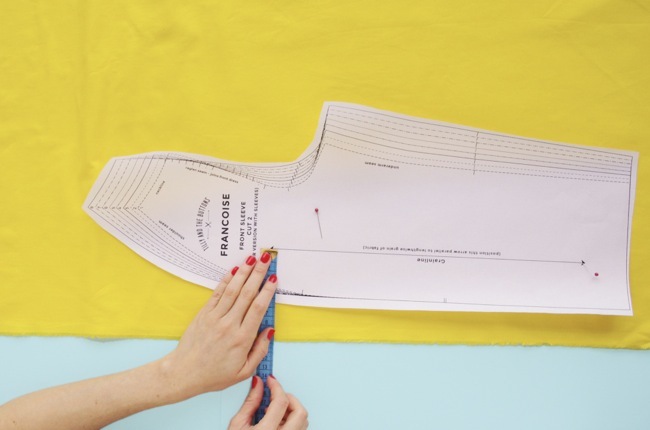 Your pattern instructions will include a suggested layout, or you can play around to see what works best for the width of fabric you have and the size you're mkaing. 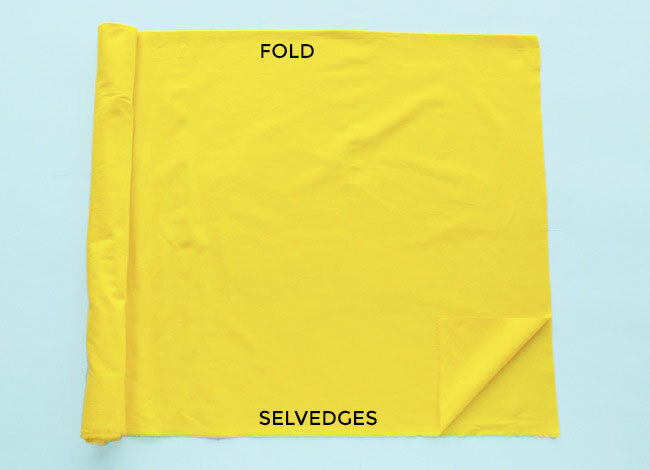 You can also rearrange the fabric fold if it saves fabric – for example, folding one third over two thirds – as long as the selvedges remain exactly parallel to each other. - “Place on fold” or “Cut 1 on fold” → Line up the fold edge indicated on the pattern with the fold of the fabric. You'll end up cutting one symmetrical piece of fabric from a pattern piece which corresponds to half. 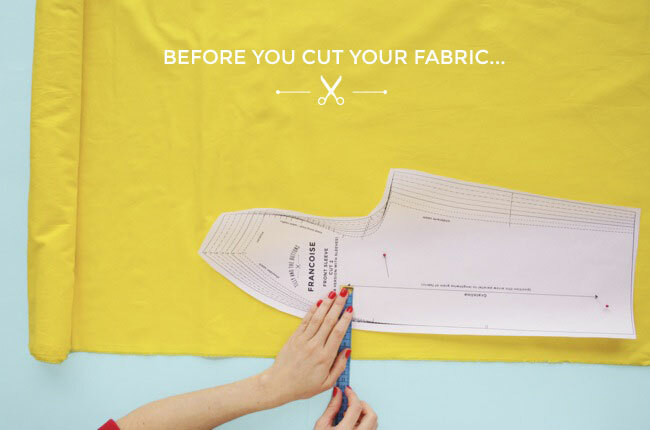 - “Cut 1” or “Cut 2” → Cut out one piece on a single layer of fabric or matching pairs on a double layer of fabric. - “Cut 2 + 2” → On Tilly and the Buttons patterns we say "Cut 2 + 2 interfacing", but if you're using another brand of pattern the second number refers to the interfacing. 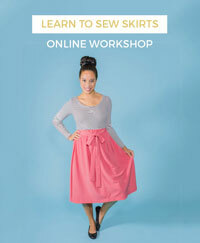 So in this example, you’d cut two pieces in fabric and two matching pieces in interfacing. - Most pieces are laid out face up, unless they’re shaded on the pattern layout diagram, in which case they go face down. - A long double-pointed arrow across a pattern piece indicates the grainline. The grainline arrow shows you how to position your pieces in relation to the direction of threads which make up the fabric. Line up the arrow parallel to the selvedge or fold, ie. running lengthwise down the fabric. An easy way to do this is to start by sticking a pin in one end of the grainline arrow. Measure the distance from the arrow to the selvedge. Now pivot the piece so that the other end of the arrow is the same distance away from the selvedge. Once you’re happy with the positioning, pin the other end of the arrow to hold it in place. So that's what to do just before you cut your fabric!